Beware, I'm about to spoil two movies (and a graphic novel). Why? Well, it may be impossible for me to talk about Man of Steel without making note of the ways it often seems to be more of a loose addendum to the 2009 adaptation of Alan Moore's classic Watchmen than a zippy rehashing of the old DC Action Comics. Our new Superman saga may correct some of the supposed wrongs wrought by Superman Returns (which I really must admit I didn't think was as dreadful as many), but in doing so it's a far bleaker affair. Man of Steel carries the weight of dead planets and features a Superman who can't yet stop the fatality count from rising, and whose no-kill policy of truth and justice is bent slightly out of whack. Though he didn't direct (as many misunderstand) Christopher Nolan's dark noir vision of comic legend colors his work developing the story. There are traces of something in line with the new Gotham here, but, ultimately, the lens flare fingerprints all point to a Zack Snyder coup that makes the movie work, but read to me as a bit like some sneaky trolling. Man of Steel is a frantic, cobbled together affair built off the assumption that our cultural understanding of Superman's origin story will carry audiences through a very jarring, often completely unexplained sequence of early events. America - and perhaps the world- is well-versed in Clark Kent's years spent in Smallville, Kansas. 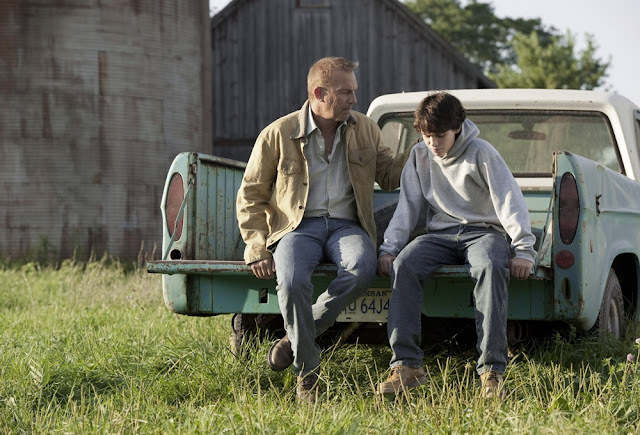 Years of television shows and repeat films have made sure of that, and Snyder attempts to deftly veer away from spending too much time on the Kent family farm and show us a big picture we haven't seen quite as much of - and from a different angle. While purists may cry foul, Man of Steel is a stylish affair devoted to immersing the viewer in something other than simple repetition. After an extended moment spent in Kal-El's infancy on a crumbling Krypton, where we're introduced to a battle of wills and principles between "Superman's dad" Jor-El (Russell Crowe) and the megalomaniac General Zod (Michael Shannon), the narrative gets caught trying to pull too much together. We see lessons from Earth dad Jonathan Kent (Kevin Costner) blended with occasionally tough to follow intersections of adult Clark (Henry Cavill) working odd jobs and sticking up for folks. This isn't a Superman tale that picks up with Clark Kent working at the Daily Planet, but it is one that finds Lois Lane (Amy Adams) hot on his trail. The problem is, it's hard to figure out exactly why. The events that push Lois Lane towards her discovery are utterly forced and seem to swing out of nowhere. To get through them requires a suspension of disbelief far more potent than any required to buy into the notion of a flying dude in a cape. If you can make it through the deep logical flaws and inconsistencies of the film's first half, and Michael Shannon's completely out-of-character lack of clout, you will be rewarded with a rich second half loaded with expertly designed comic book battles and stunning visuals. 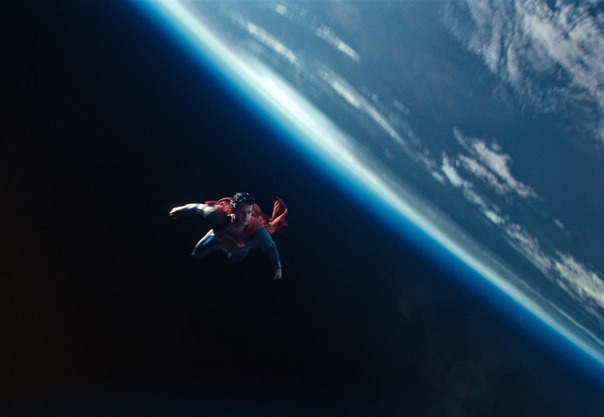 When Man of Steel gets to the flying and fighting, it operates at a dizzying fever pitch. When it stops? Things tend to get a little shaky. Shannon, as mentioned, is a surprising dud here. After proving his ability to pull off menacing intensity in just about everything including Premium Rush, Zod's threats of genocide almost make Loki sound threatening. Someone seems to have caught on to this early on, as there's simply no other way to explain the plot's insistence on throwing the nasty Faora-Ul (Antje Traue). 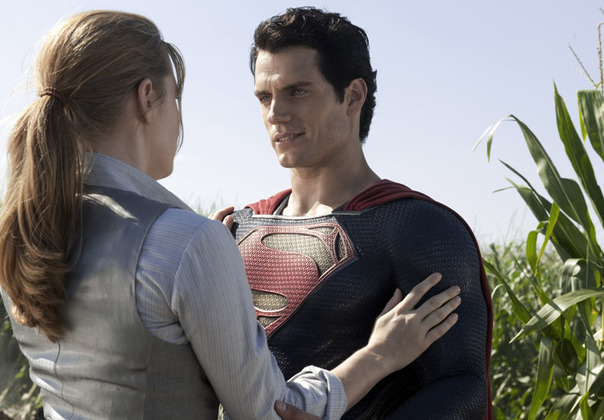 Kryptonian nationalists aside, Cavill slips between 'aw shucks' native son and majestic alien-god figure with little difficulty, and he has the right look to pull off even the most constipated of facial expressions while hurtling through the Earth's atmosphere. 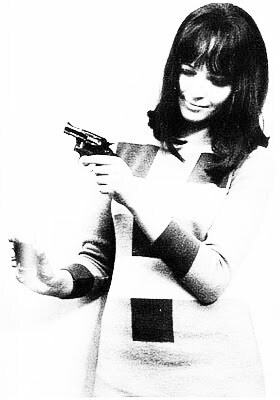 The shrewder take on Lois Lane, too, is to be appreciated though at times the character's presence seems oddly contrived. What struck me the most, though, were the aforementioned ways in which Man of Steel occasionally reads as a continuation/adaptation of some of Watchmen's M.O. 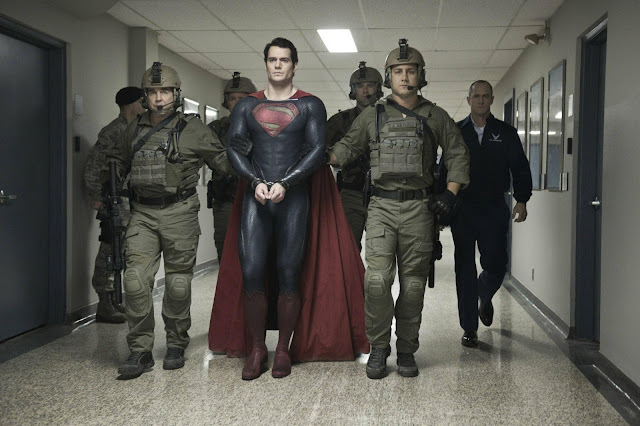 Sure, there's no Cold War or threat of nuclear war, but Snyder draws us a Superman who, once exposed, is not immediately welcomed by military forces or the general population. He's forced out of hiding to become a costumed hero, but at points the threat he's battling seems more like the best case/unplanned version of the scenario plotted out by Watchmen's Adrian Veidt (Ozymandias): an alien invasion threatens Earth, lands in a major city (Metropolis/New York), decimates that city's population only to succeed in bringing together the world to combat a mutual threat. 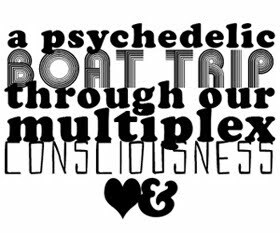 Veidt kills three million with a giant squid monster to force peace and hope, Zod lands in Metropolis in a squid shaped vessel filled with squid-like things. Superman, meanwhile, grapples with his outsider status. He too wants to bring hope to the people, he too is considered a threat. What's uncomfortable about Snyder and Nolan's vision of Superman is that when he "saves" the city, he leaves most of it in ruins. We don't get the hero who appears just in time to sweep hoards of plummeting people to safety, we don't get the hero who we see picking up wreckage or ferrying away the wounded. Instead, we get a shrug of acceptance from a military presence. Though the film ends on a winning, pumped-up note, there's a strange sense permeating the story that Clark Kent's logic is in line with Veidt: the enemy of my enemy is my friend.